The environmentally friendly and healthy fine food phenomenon called Mixt Greens has spread from its original location in San Francisco to Los Angeles and Washington, D.C. 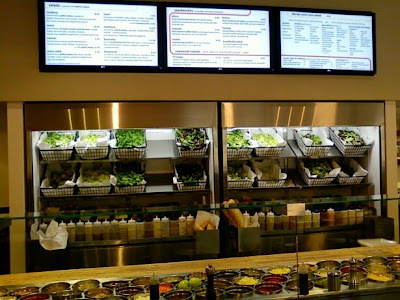 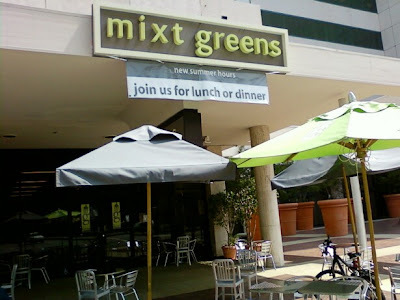 Here in L.A. we are fortunate that 2009's "Best Healthy Lunch" in the Bay Area has opened two locations -- one right in the heart of Miracle Mile's Museum Row on Wilshire Boulevard and the other downtown on South Grand Ave. in the Bunker Hill neighborhood. Click here for contact info. As a regular patron I can personally attest to the high quality of the organic salads and sandwiches. 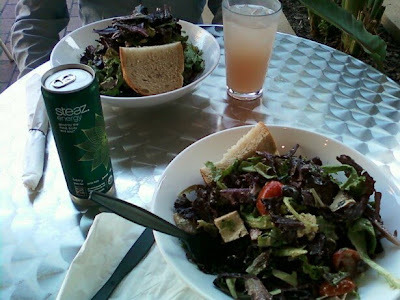 And it is empowering when you can design your own salad and know that all the ingredients are nutrient-rich and sustainable. 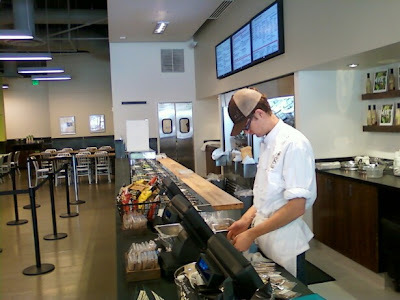 But it isn't just the food that gets an A+ in being sustainable. Although I know of no other restaurant that encourages customers to drink cucumber water instead of tap water to conserve precious water resources. The design of the restaurant itself is carefully constructed to be as enviro-friendly as possible. 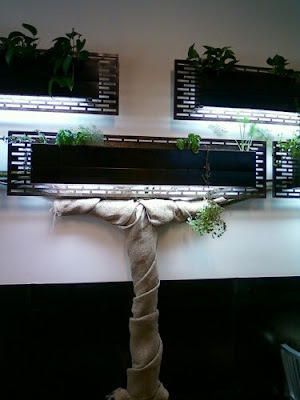 Features include zero-VOC paint, Durapalm palmwood from plantation grown coconut palms, 3-compartment trash station (compost, recycle and landfill) and a green wall showcasing "indoor urban agriculture." 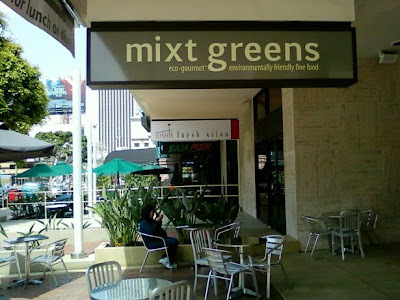 I wanted to find out what else makes Mixt Greens so special so I tracked down the Miracle Mile location's General Manager Ami Lourie to ask him. Here is Lourie speaking about what makes Mixt Greens eco-friendly and why they chose to locate in the Miracle Mile neighborhood.